I have been busy painting new miniatures for submission into this year Royal Miniature Society show. 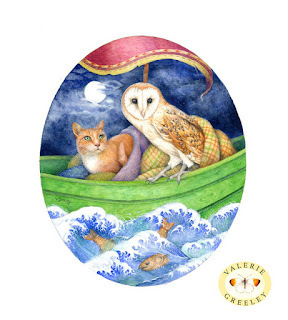 As an associate member I am allowed to submit six miniatures. 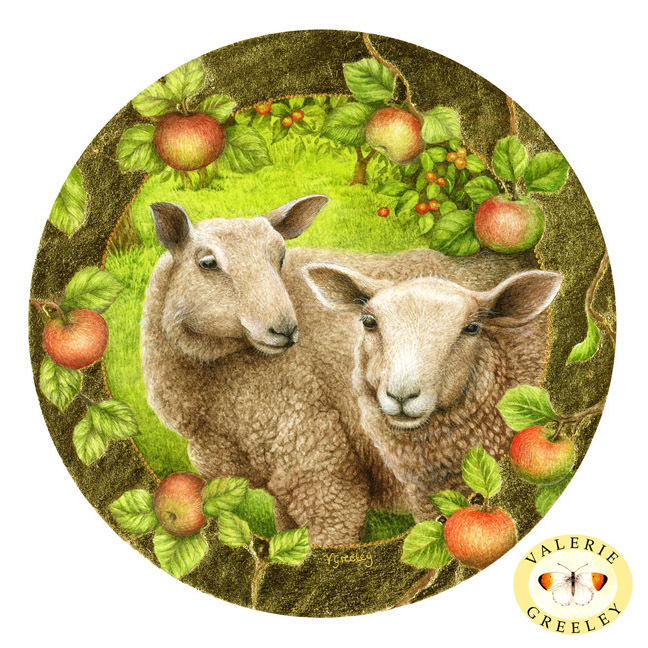 The sheep painting was inspired by an apple picking excursion to the home of a friend who has a beautiful orchard and farm on the Shropshire/Wales border. The tiny water colour painting called "Hare Hill" was painted a few months ago. The sheep painting was also painted in watercolour and has a gold leaf border. As you can see my submissions this year vary in size, the rabbit and hare paintings are 3ins by 2.5 inches. The largest miniature features an owl and a pussycat and is entitled "They sailed away". It measures 4.5 ins by 4 ins. The portrait of my granddaughter is not for sale. If you are in London from 28th November until Sunday 9th December you are welcome to visit the exhibition at The Mall Galleries in London. If you are unable to visit the exhibition will be online and paintings and sculptures will be for available sale. Further details are available on the RMS website.